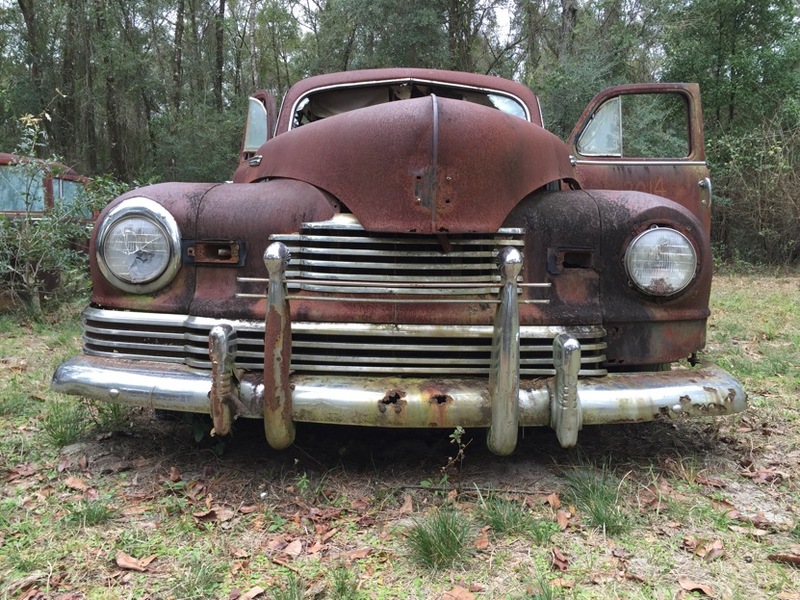 The Pat Harvey family owns these antique beauties left to guard the highway in quiet wood-side retirement as they rusted away. 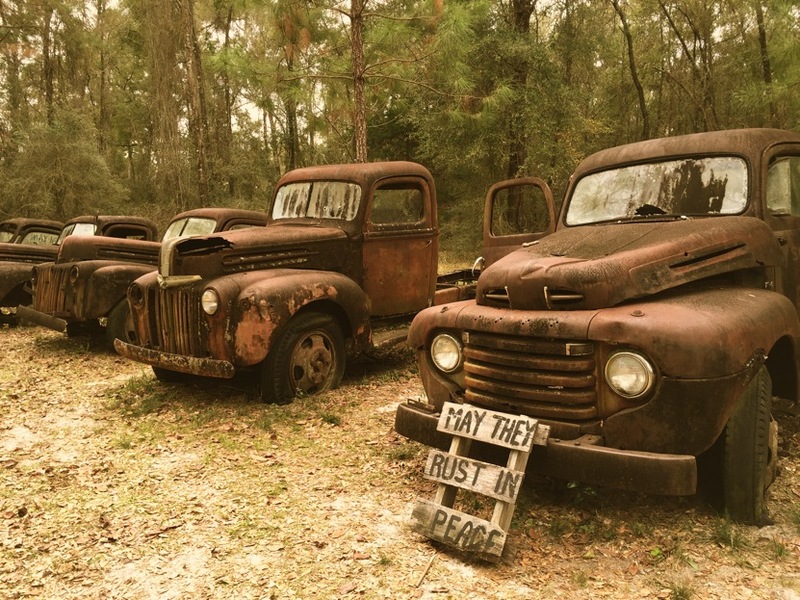 All of these Ford cars and trucks have been used on the family farm from the early 1900’s to the mid-1970’s. The oldest could even have been one of Henry Ford’s first factory assembled Ford pickups, with a price tag of $281 in 1925! 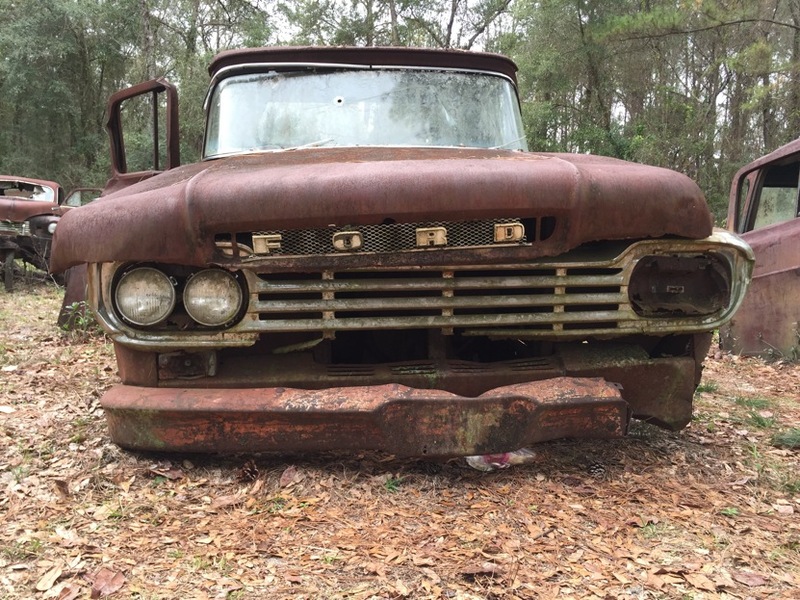 Lined in a semi-circle in chronological order, this collection of rusted bodies and still-gleaming chrome fenders evoke an eerie watchful feeling to the visitor. A graveyard of ghostly mechanics. 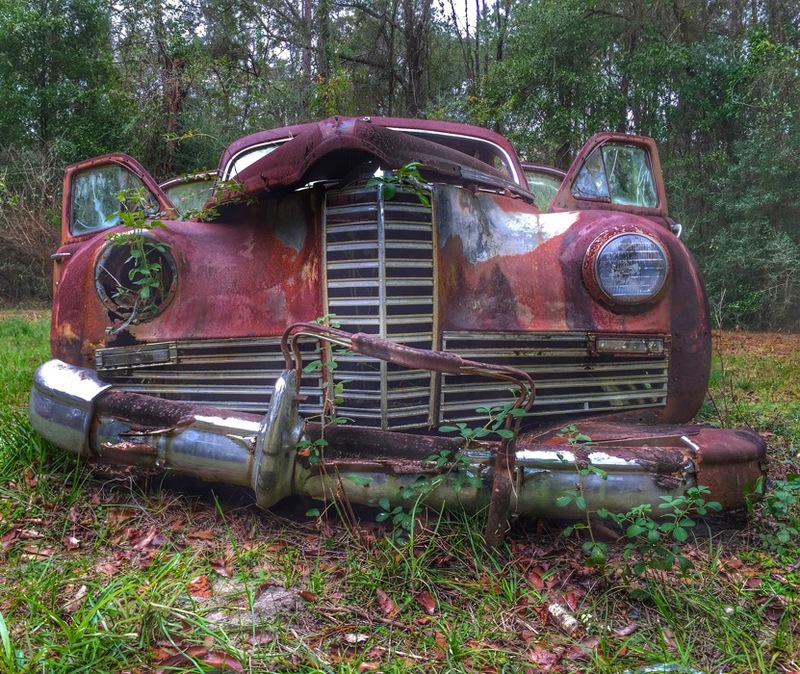 Imagine the changes these now cracked and cloudy headlights have seen. If you look closely, the weed-choked grilles may become faces – evil machines or benign spectators? You’ll have to decide. Though I wouldn’t recommend exploring these woods after dark. 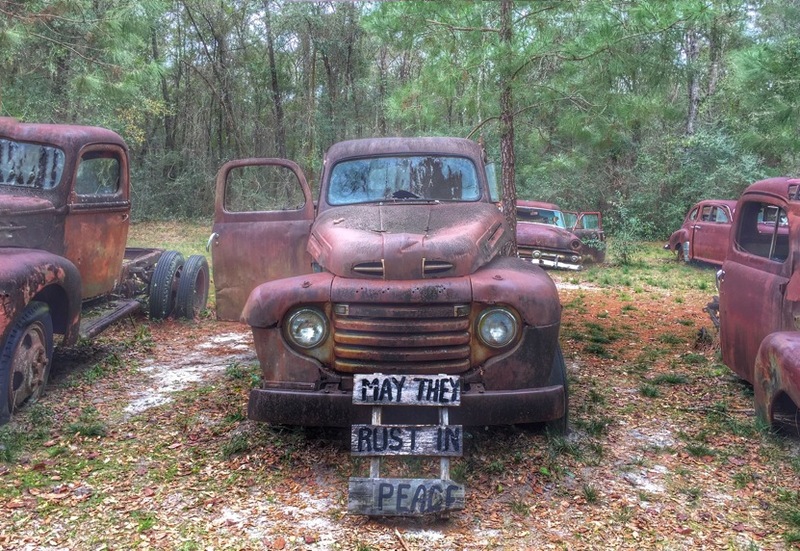 Finding the old Ford truck graveyard from US Highway 319, between Crawfordville and Medart – go 1/4 mile north of Emmet Whaley Road on the west side. Use 4204 Crawfordville Highway, Crawfordville Florida in your GPS. The pull-off can be high in spots, so watch your car’s undercarriage as you drive in. That’s sad. Those are collectible items and expensive rides now.